A tribute to one of the finest musical instruments in the strings family. I regret that I have been unable to discover more about the maker, the amount of chocolate, and the occasion for which this wonderful figure was created. 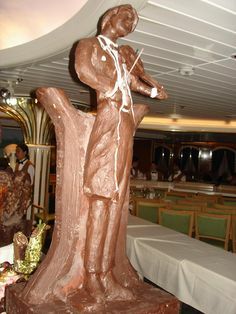 What song would be played on a chocolate violin?